Warehouse Wine? Sure, why not? 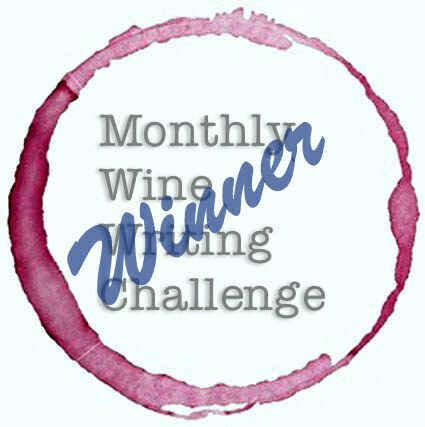 Premier Cru Chablis for $15? Heck, yea! Costco Wholesale warehouses are known for offering good wines at great prices. Members can find well-known labels from around the world (depending on your state’s regulations), and enjoy substantial savings over traditional wine shops, and often at prices better than even large wine and liquor stores like Total Wine & More and BevMo. These are great deals, but for the biggest bang for your buck, look for the Costco Kirkland Signature label. No, Costco doesn’t make wine. They use their immense buying power to source and purchase wine from well-known producers, and label them with the Costco brand. Pulling the cork often reveals the secret identity of the estate or chateau that produced the wine, when they use their own corks. A 2015 article in Wine Spectator pulls back the curtain on some of those producers, and some impressive names they are. And Jon Thorsen, the Reverse Wine Snob, has written extensively on the Costco wine scene, and regularly reviews their wines. So now we know about wine buying at Costco and the bargains to be found there. But what’s so special about Chablis? And what is this “Premier Cru” thing? Good questions. The short answers are: Chablis is Chardonnay wine made in Chablis, which is located in Burgundy, France. “Premier Cru” is a designation that identifies a Chablis wine that was made from grapes from better-than-average vineyards. The Best of the Best receives the Grand Cru designation. You can read a more in depth analysis at Wine Searcher. 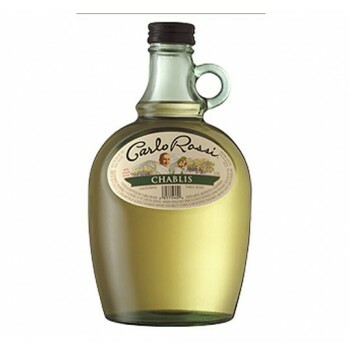 When I was a kid, I remember my parents drinking “Chablis” from a jug. (Back in those days, the rules about naming wines were less strict.) So when I started my own wine journey, I had that image in my mind, and avoided Chablis, thinking it was nothing more than cheap plonk. Furthermore, when I started exploring wine, I stuck mainly to New World wines; those from the U.S., Australia, and South America. In those days, Chardonnay meant those overly oaked toast bombs, of which I’m not a fan. Thus began my ABC (Anything But Chardonnay) days. Only in the past two or three years did I learn that Chablis – the real stuff from Burgundy – is completely unoaked. There are no toasty, lick-the-inside-of-the-barrel flavors. Venturing out of my comfort zone, I tried a bottle several months ago, and I was very happy with what I tasted! (Fortunately, the trend with Chardonnay, even in the U.S., is toward lightly oaked or unoaked styles.) Thinking about all the delicious Chablis I missed over the years, because of my incorrect assumptions, is disturbing! Having since turned in my ABC Membership Card, I am now always on the lookout for good Chablis bargains. 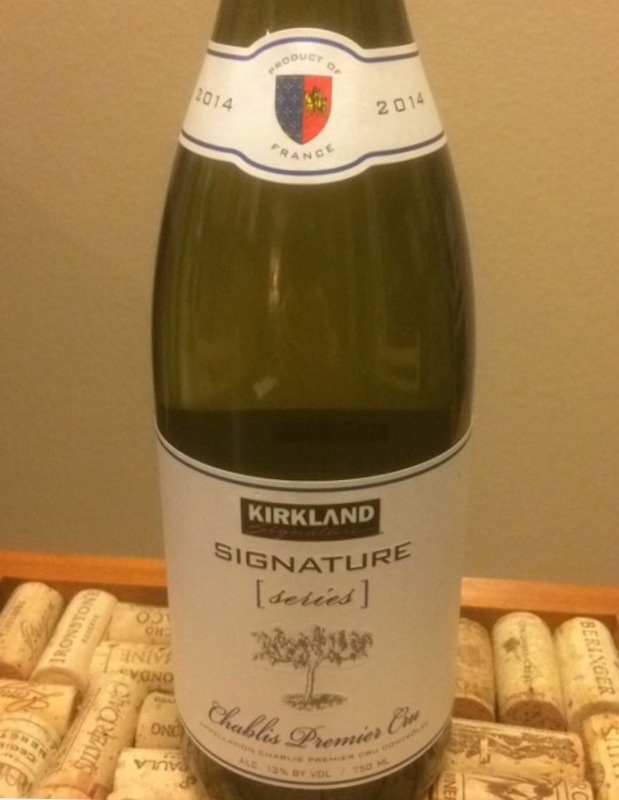 So how does the Kirkland Signature Chablis Premier Cru 2014 stack up? Pretty darn good. Light straw color in the glass. Aromas of pear, yellow apple, and elderflower. On the palate, there is pear and apple, with zesty lemon and grapefruit mid-palate. Bright acidity, and a lighter mouthfeel when cold, but as it warms it softens and becomes softer with a bit of creaminess. The finish goes on and on with tart citrus notes. Not the best Chablis I’ve had, but surely the best QPR for a Premier Cru. This is definitely a wine I would serve to guests. The label may not impress, but in my opinion, it’s more important what is IN the bottle, than what is ON the bottle. I like your cork placemat! I totally agree with you about this wine, it is well worth the money. Thanks, John. I’m always on the lookout for great values, and this is one for sure!